John and Susan met while serving in the United States Air Force in Texas, and they were married in July 1998. They purchased their first home, in Fairborn, Ohio, while stationed at Wright-Patterson, and they both attended college classes while on active duty. Upon discharge from the Air Force John studied at the Cincinnati College of Mortuary Science where he earned a Bachelor of Science Degree in 2002. That year John joined the Belton Funeral Home team and served his apprenticeship to become a licensed funeral director, embalmer and licensed insurance agent. Susan served over eight years on active duty and was honorably discharged from the Air Force as a Staff Sergeant. She holds a Bachelor of Science Degree in Business Management from Park University. 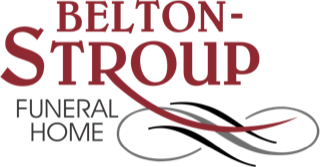 John and Susan purchased Belton-Stroup Funeral Home in July 2005. They are first generation owners who chose the funeral profession because of a sincere desire to serve the people in their community. Susan became a licensed funeral director in 2014 and enjoys meeting families and also works many hours behind the scenes at Belton-Stroup Funeral Home. More importantly Susan is an asset in answering the phones and greeting visitors to the home, and she is very adept in quietly recognizing family members' special needs. John is happy to be a business owner in a town where he has served as president and is currently a board member of the Fairborn Area Chamber of Commerce. He also serves on the City of Fairborn Police Advisory Council and is a member of Masonic Lodge #421 in Yellow Springs. John and Susan believe their years of service in the United States Air Force afford them with a special awareness of the needs of military personnel and the importance of details. 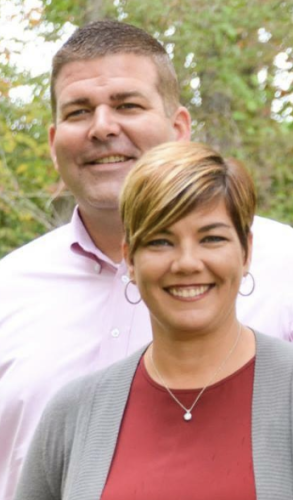 They intend to make Fairborn their lifelong home where their number one goal is to have a family-owned funeral home to provide dignified, personal service to anyone they have the privilege to serve. Adam is a 2006 graduate of Fairborn High School and a 2014 graduate of the Cincinnati College of Mortuary Science as a funeral director and embalmer. He is a lifelong, active member of the First Baptist Church of Fairborn and has recently become a member of the Dayton Lodge 147 and the Scottish Rite, Valley of Dayton. Adam is an avid outdoorsman and loves to spend time with his family.